Welcome to MLS All-Star Game presented by Target! 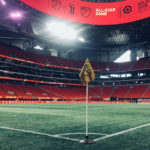 Major League Soccer All-Stars will battle Italian Serie A powerhouse Juventus at the beautiful Mercedes-Benz Stadium in the new American soccer hotbed of Atlanta, GA! The fun isn’t limited to just 90 heart-pounding minutes at the Mercedes-Benz soccer cathedral. 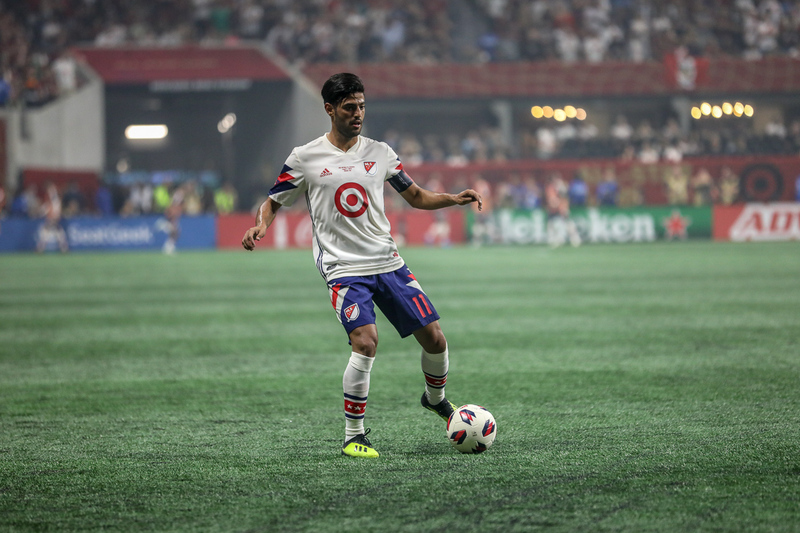 MLS and our corporate sponsors have created once in a lifetime events for fans to experience the game like never before. Interested? Please RSVP to any of the following events. Atlanta is capital of the dirty south rap music revolution. Unfortunately, not all rap music is suitable for young children. Clint Dempsey is here to help with a few local rap superstars. Waka Flocka Flame, Migos, and Bonecrusher are adapting their most famous hits for an all-ages audience. (For example: Waka Flocka Flame’s 2010 hit “No Hands” has been reinterpreted into a song about the joys of bike riding). After a twelve year hiatus, Clint Dempsey will be performing his 2006 World Cup anthem “Don’t Tread.” Let your children do it for the culture, at the temporary gold fronts tent. It’s gonna be lit! Contrary to popular belief, soccer wasn’t invented in 2010. The sport was created in 1996 with the inaugural MLS season. Learn about the illustrious MLS history from MLS legends Tony Meola and Dwayne De Rossio, during the Jack Links Flame-Grilled Steakhouse Beef Jerky Q&A session. 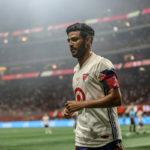 Attempt to poke holes in the MLS Legends’ stories as they try to convince you that they were indeed professional soccer players at one point. Don’t let their response of “just because you weren’t paying attention then doesn’t mean it didn’t exist” stop you from questioning their contribution to the sport! Have you been training your thumbs? Try your luck against some of the best FIFA players eMLS has to offer. These joystick gladiators are taking on all challengers in a round robin tournament for a grand prize of $5 million. Yes. $5 Million. Try not to cry as you talk about your growing student loan debt to a 20-year-old eAthlete making more money playing video games than you ever will at your current job. Your English degree from a mediocre state college won’t protect you as you’re digitally nutmegged for the 10th time. Game Genies are strictly banned from the event. Ever wondered how Juventus ascended to the top of the soccer world? Hard work! Witness all your favorite Juventus players go through their paces at this open training event. From light jogging to half-hearted stretching, you’ll see how these men became soccer gods. Olive Garden will be on hand offering samples of their new MLS All-Star Game exclusive dish, Juventus Dream. A seven layered dip containing some of their Italian inspired meals such as Bambina Joan’s Lasagna, Sicilian Pepper Jack Popcorn Shrimp, and Dr. Pepper. Mama Mia! That sounds delicious. Instagram’s CR7 Poolside VR Thigh Experience. Juventus made global headlines when they signed Real Madrid’s Cristiano Ronaldo for $110 Million. Sadly, the Portuguese winger wasn’t available to travel with the team to Atlanta. Our great partners at Instagram have the solution. The CR7 Poolside VR Thigh Experience gives you an exclusive behind the scene look of the international superstar’s thighs. For the first time ever, you’ll be able to feel how it is to be the thigh that scored over 400 goals. Catch some digital rays at CR7’s new Turin Villa. Feel the smooth caress as Ronaldo’s full-time thigh assistants rub suntan lotion on you. Let the unbridled rage engulf you as you are once again compared to the thighs of Messi.